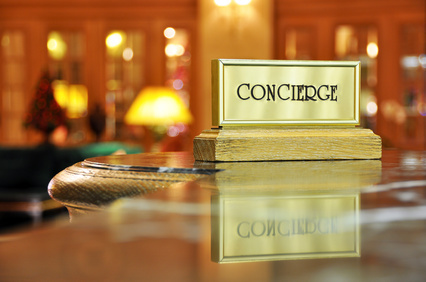 Just like the concierge service offered in the best hotels, the professional and discreet team at In Sarlat ®, will attend to all your requirements in order to provide you with an exclusive impeccable service. At In Sarlat ® we are committed to making your holidays a pleasurable and relaxing moment by ensuring that your stay as easy as possible. Our expertise and availability will make your stay in Sarlat unforgettable. We will be on hand to answer your requests in our offices from Monday to Saturday and in the event of an emergency we can be reached by telephone on Sundays and in the evening after 7 p.m.
Organisation of room service and/or household linen (supplement). Don’t hesitate to call on us, we will do everything possible to satisfy your demands! Our service promise for your well-being in Sarlat! Remain at your service. With your satisfaction in mind, we will send you a client questionnaire after your departure. Please take time to answer it because ensuring your satisfaction is the basis of our work.